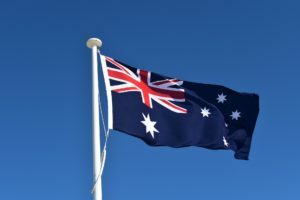 During the last decade, Australia has seen a number of copyright reviews that have recommended various copyright reforms, some more extensive than others. To mention some of the most important: in 2014, the Australia Law Reform Commission recommended the adoption of fair use into Australian copyright law. In 2016, the Productivity Commission’s Report on Intellectual Property Arrangements supported this proposal and suggested further amendments, such as the repeal of parallel import restrictions that to some extent still exist under the Copyright Act 1968, and clarification of the law on geoblocking. The reform has been slow to materialise due to strong disagreement on these issues among stakeholders and active lobbying efforts on both sides. Meanwhile, on 23 June 2014, Australia signed the Marrakesh Treaty for the Blind and Visually Impaired and made efforts to implement the Treaty requirements into national law as quickly as possible. In 2017, this resulted in the Copyright Amendment (Disabilities and Other Measures) Act 2017 that, as well as disability exceptions, reforms some of the other exceptions relevant for the educational and cultural sector. The Act was passed on 15 June 2017 and most amendments came into effect in December 2017. The amendments are not as far reaching as has been suggested in recent reviews. Nonetheless, the Act could be seen as a small but significant step in modernising Australian copyright law. First of all, the 2017 Act implements the Marrakesh Treaty and replaces a rather specific exception for persons with a disability and others acting on their behalf with a broader fair dealing exception. The fair dealing exception goes beyond the requirements of the Marrakesh Treaty and is not limited to visually impaired persons but rather covers all types of disability. Also, the Act replaces the statutory licences for institutions assisting persons with a print or intellectual disability with a single remuneration-free exception. Secondly, the 2017 Act harmonises and modernises the preservation exceptions for copying and making accessible material in libraries, archives and key cultural institutions. The Act replaces a number of distinct provisions with simpler, uniform provisions that give libraries, archives and the specified key cultural institutions greater flexibility in copying and digitisation of copyright material, whether published or unpublished, to preserve or administer their collections. As a result of a new exception, libraries and archives are no longer required to wait until material has been damaged or suffered deterioration before making preservation copies. They are permitted to make multiple preservation copies, and make available electronic preservation copies to the public without infringing copyright. Third, the Act repealed the educational statutory licensing provisions and replaced them with a simplified system of educational statutory licences. There is no longer any express limit on the amount of a work that can be copied or communicated. The only limitation is that the amount copied or communicated “does not unreasonably prejudice the legitimate interests of the owner of copyright”. In addition, the Act provides a framework for the operation of declared collecting societies under the new statutory licence, including record keeping and reporting requirements. Last but not least, the duration of protection for unpublished works has been changed from perpetuity to the author’s life plus 70 years, the same as for published works. In 2015, the Australian Library and Information Association (ALIA) ran a successful campaign against the perpetual copyright protection for unpublished works, which eventuated in this amendment granting uniform protection for published and unpublished works. The 2017 Act has generally been welcomed by all stakeholders. At the same time, some stakeholders regretted the fact that other important provisions, such as safe harbour provisions, have been removed from the final versions of the Act. Also, organisations such as Electronic Frontiers Australia have called for a broader copyright reform that would lead to the introduction of fair use provisions. One of the issues that has been extensively discussed in Australia over the past decade is the scope of the safe harbour provisions under the Copyright Act 1968. Safe harbour provisions were introduced in Australian copyright law in 2004 as a result of the Australia-US Free Trade Agreement. However, intentionally or not, they were limited to Internet carriage providers, i.e. telecommunication companies such as Telstra or iiNet. A number of previous reports suggested the expansion of the definition to include all online service providers under the safe harbour, as is the case in both the US and the EU. However, right holders have been actively resisting the expansion of the provision, arguing that this would establish overly broad safeguards for online platforms that host vast amounts of unauthorised content. In order to address this issue, in December 2017, the Australian government introduced the Copyright Amendment (Service Providers) Bill 2017. However, instead of extending safe harbours to all online service providers, the Bill suggests that the provisions should apply to the disability, education, library, archive and cultural sectors only, while leaving commercial online service providers outside the scope of the safe harbour. The proposal has been welcomed by right holder organisations and collecting societies, such as APRA-AMCOS, but also criticised by some organisations and academics as too narrow and not providing the necessary benefits for Australian tech start-ups. The discussion on the Bill will continue in 2018. It is interesting to follow this reform initiative in light of discussions surrounding safe harbour reform in the EU and the US. Any future for fair use in Australia? Another topic that is going to occupy stakeholders in 2018 is fair use. As mentioned above, fair use has been repeatedly suggested in Australia in various reports, and promoted by civic groups and the educational and cultural sector. Creative industries see it as a threat to their survival and make great efforts to argue against its introduction. In 2018, the stakeholders will be collecting further data and evidence to support their positions, but it is unlikely that fair use will emerge on the political agenda in 2018. Should taste be subject to copyright protection? Heksenkaas will tell us.